Another mural has been painted in Ibiza Town as part of the Bloop International Proactive Art Festival, which returns to the island later in August, this year with the theme of ‘Changes’. Urban artist Ino has created a work on the consequences of climate change on the facade of the school of Sa Bodega on Carrer de País Basc. 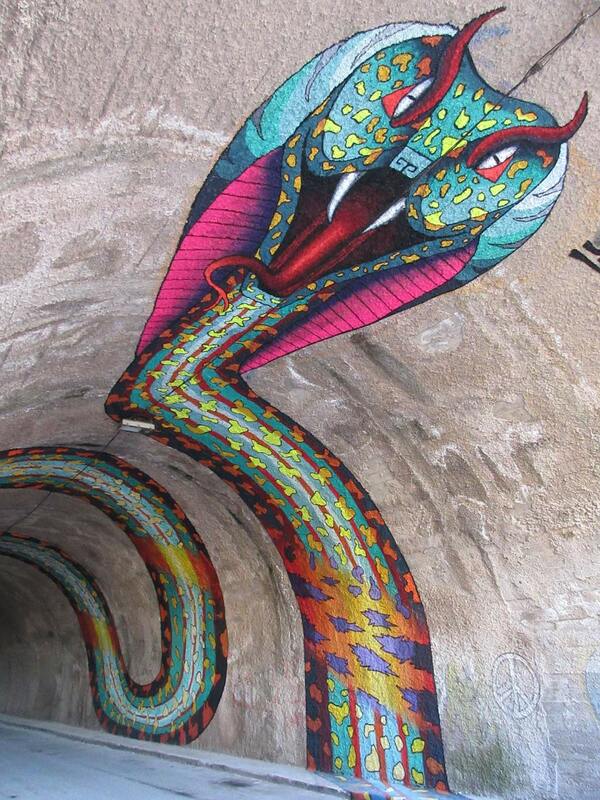 After the completion of the snake created by the artist Spaik in the Soto tunnel, this is the second mural in Ibiza Town, part of Bloop’s long-term urban redevelopment project, the OpenAir Gallery. These murals are designed to change the urban scene and give an aesthetic value to areas previously without apparent value. So far, the gallery has more than 20 works by international artists spread across the island, most of them in San Antonio. The Bloop Festival will take place from August 23 to September 9 and we will report more when the programme is released, but they are planning exhibitions, interactive installations, workshops aimed at children, video mapping, painting, sculpture, design and virtual reality. As part of the Festes de la Terra and to commemorate the 100th anniversary of the birth of renowned Ibizan artist Ferrer Guasch, there are currently 2 great exhibitions of his work in Ibiza Town. Els Blancs (The Whites) is in the Antic Refectori de l’Ajuntament d’Eivissa, which is part of the old Ajuntament building in Plaça España in Dalt Vila. 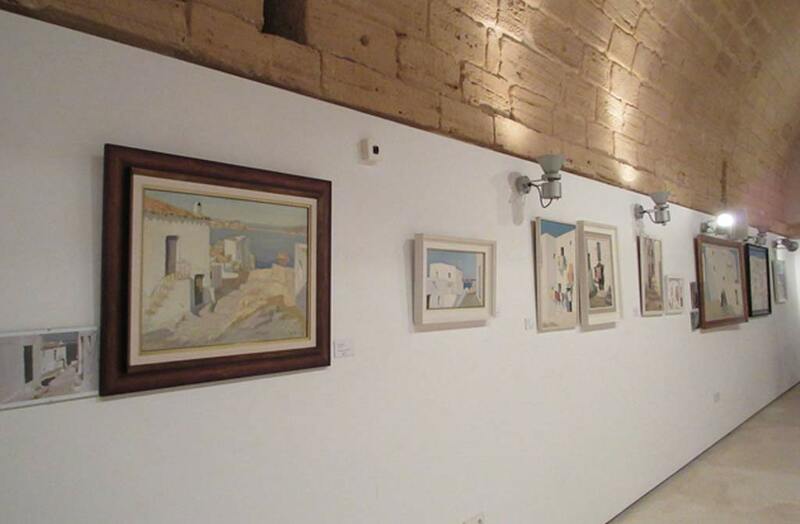 The 18 paintings are of traditional white houses and buildings in and around Dalt Vila and Ibiza Town. A quote on the wall translates as, “I paint what I have always loved, white paintings, bright white, pure”, and this perfectly sums up the works on display. Open from 09.00-14.00 on Monday to Friday and also 19.30-21.30 Tuesday to Thursday. Sa Penya is in Es Polvori in Dalt Vila and displays about 30 paintings depicting the neighbourhood of Sa Penya and have more color, detail and human figures. Most of the paintings here were painted in the 70s and 80s and many are accompanied by a photo showing the location in the present day. Open from 10.00-13.00 and 17.00-20.00 Tuesday to Sunday. Ferrer Guasch is one of Ibiza’s best-known and most appreciated artists. He studied at the Escuela Superior de Bellas Artes San Jorge in Barcelona. When he returned to Ibiza in 1962, he taught drawing and painting in the Institut Santa Maria (Ibiza’s High School) until he retired in 1982. He was a very prolific painter, creating about 5,000 paintings, many of which were sold on the island as well as all over the world. 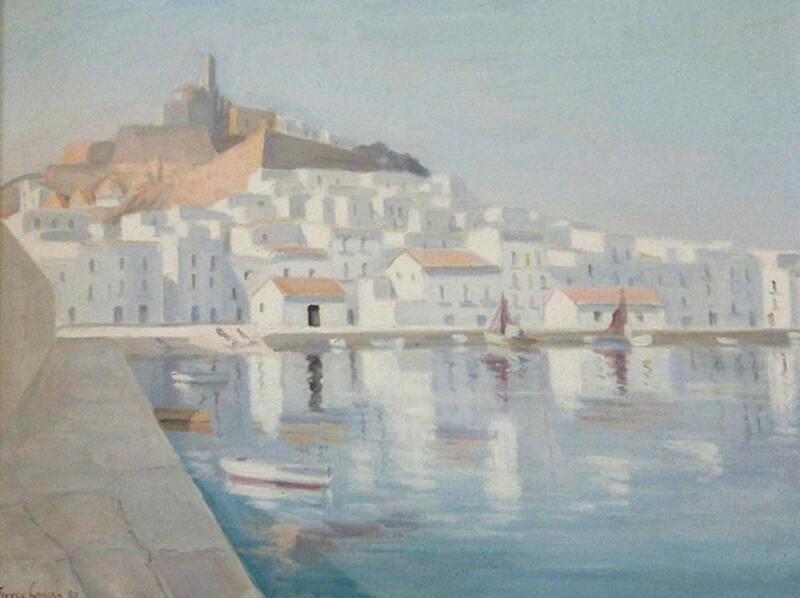 His paintings predominantly feature buildings and views of Dalt Vila and Ibiza Town. He said of his work, “what I am trying to reflect in my paintings is the tranquility, the peaceful harmony of its streets with its cubic white buildings, the serenity that one could feel in Eivissa.” In 2006 he was awarded the ‘Medalla d’Or’ from the Ciutat d’Eivissa, which is a great honour. He died in 2008. 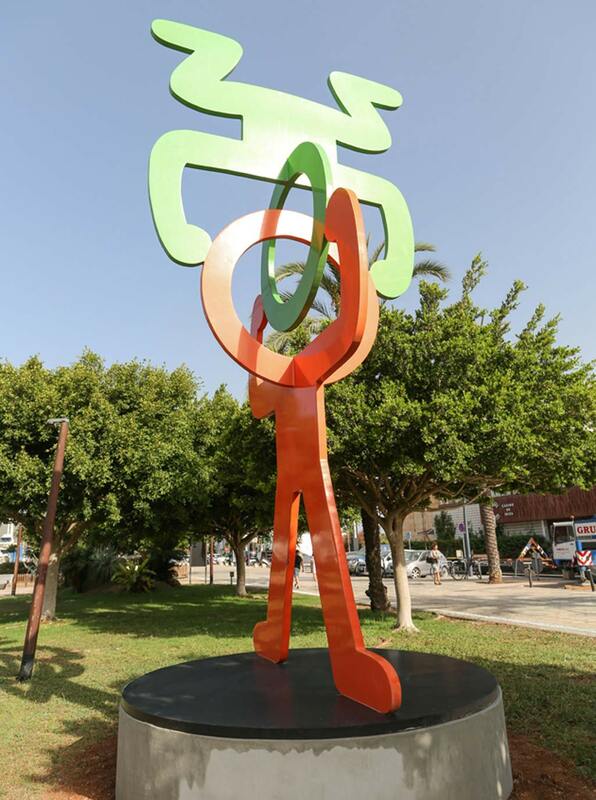 Not to be content with the amazing Keith Haring exhibition at La Nave in Salinas, a sculpture by the prestigious New York artist has now arrived in Marina Botafoch, near to Heart. The 7 metre high iron sculpture weighing 11 tonnes called ‘Untitled (Headstand)’, was created in 1988 and it depicts two breakdancing figures in Haring’s inimitable style. He was working during the 1980s when the energy and innovative environment of the times created a boom in music, dance, fashion and art. Haring was fascinated by the choreographed breakdancing routines and street dancing which he translated into a series of unique sculptural pieces. Between 1985 and 1989, he created 13 such monumental sculptures, which were exhibited on Park Avenue in New York in 1997, 10 years later. The piece now in Ibiza, Untitled (Headstand) was one of the sculptures from this exhibition, and truly represents the form of ‘breakdancing’. The sculpture is part of the exhibition currently on show at La Nave Salinas, founded by New York art collector and dealer Lio Malca in an old salt warehouse. Keith Haring was an American artist who drew on issues and images from popular culture in the late 70s and 80s. He died in 1990 in New York at the age of 32. The sculpture can be seen on Joan Carles I in Marina Botafoch, directly opposite Heart and the Casino until September 30. There’s a great exhibition of photographic-based images in Ibiza Town at the moment at the Sa Nostra Sala. Entitled ‘Ephemeral. The Retina of Experience’ it’s a collaboration between graffiti artist SUSO33, photographer Vitorino and Art Director Javier Gómez. 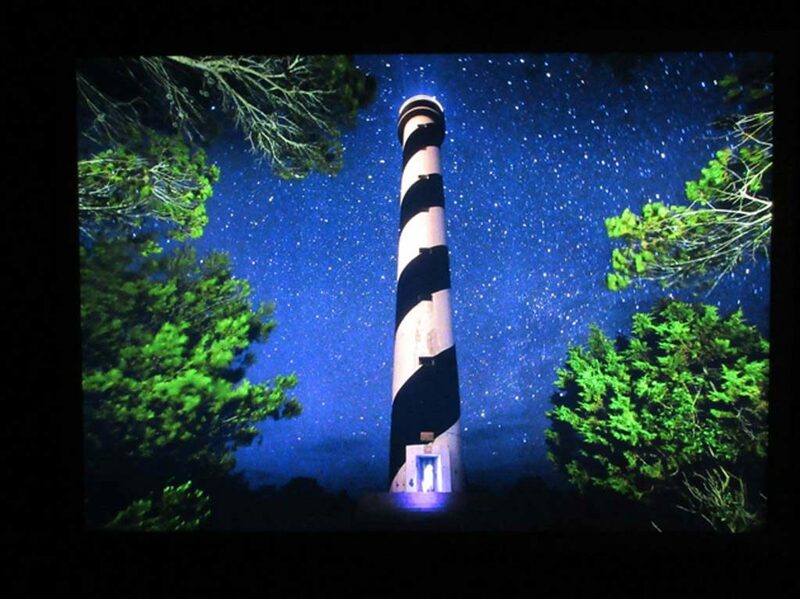 Using photos of iconic Ibizan places taken at night as a basis (such as Es Vedra, the lighthouse at Portinatx, Salinas, the Phoenician site at Sa Caleta) they have used light to draw different presences in a series of site-specific pieces. 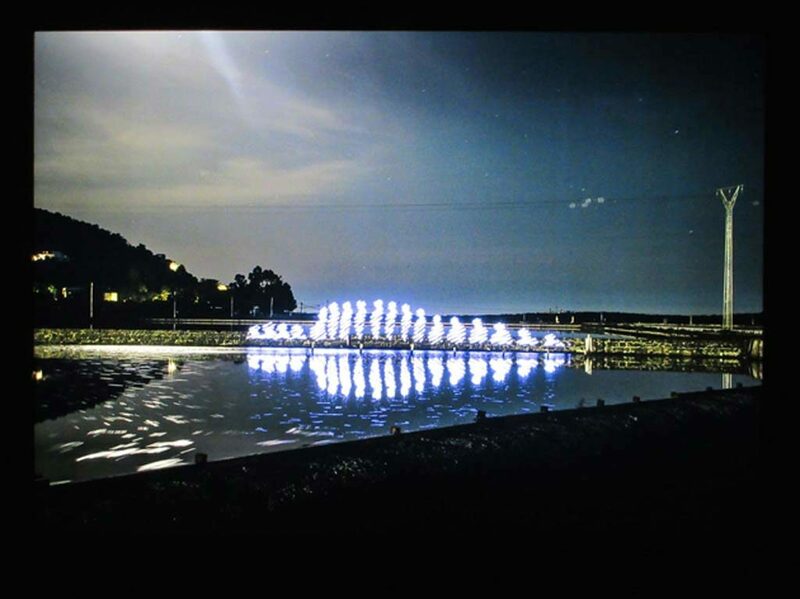 The artists say that ‘Ephemeral’ is a project born out of transient, artistic interventions that were executed during the solar year cycle. The goal is to give visibility to places that are symbolic on the island because of their ancestral and topographic importance. Photographer Vitorino has been experimenting with long exposure photography and light painting techniques for 12 years. The result is a sequence of images of iconic views of Ibiza shown on LCD screens with a twist and it’s worth a visit if you’re in town.